President Obama wrote a letter to Iran’s Ayatollah Ali Khamenei on the possibility of US-Iran non-military cooperation in defeating ISIL, as a sidebar to the ongoing negotiations with Tehran over the shape of its civilian nuclear enrichment program and ways of making sure the program is not militarized. The Wall Street Journal’s leak of the letter (the fourth Obama has written to the Iranian leader) provoked rage among Republicans in Congress and on Fox Cable News. Senator John McCain was especially incensed, and speaker of the House John Boehner said he doesn’t believe that the US should bring Iran into the fight against ISIL. Shiite Iran, being the direct neighbor of Iraq, of course, is inevitably involved in the fight against ISIL (radical Sunnis) as a matter of its own national security and as a manifestation of its friendship with the Shiite government in Baghdad. Boehner has no say in it. The US right wing views Iran as an enemy to be overthrown, on the grounds that it rejects Israel and supports Lebanon’s Hizbullah and the al-Assad government in Damascus. Obama in contrast sees Iran as a country that could be brought in from the cold. The US strategy for fighting ISIL, which Washington has decided is a security challenge to the US despite the remoteness of its territory in places like al-Raqqah, Syria, has two major theaters. The problem is that strategy in each of these theaters must differ, perhaps 180 degrees. In Iraq, the Sunni Arab cities rose up against the Shiite-dominated Iraqi central government in alliance with ISIL. Mosul is a city of some 2 million. Some 5,000 ISIL fighters coming from Syria did not militarily conquer it in a conventional military attack. They were covert agents and infiltrated neighborhoods and coordinated a mass Sunni uprising. The Shiite-dominated Iraqi military collapsed as a result. In order to defeat ISIL in Iraq, the US has to coordinate with the Kurds and the Shiite government in Baghdad. But since the latter’s army is dysfunctional, Prime Minister Haydar al-Abadi has been constrained to depend on paramilitary forces, i.e. Shiite militias, as well as on covert aid from Iran. De facto, in Iraq the US is allied with Iran and has already given Shiite groups, at Amerli, that included Iranian special forces, close air support. The US also wants to convince Sunni tribes to join with Shiite Baghdad in helping defeat ISIL, but whether this can be done is still doubtful. In contrast, in Syria the US has two goals, not one. Obama wants to weaken and help defeat ISIL and the Jabhat al-Nusra (al-Qaeda) in Syria. It wants the weak and disorganized “Free Syrian Army” to pick up those pieces. And it wants the FSA ultimately to overthrow the government of Bashar al-Assad in Damascus. Iran, which is a de facto potential ally against ISIL in Iraq, is allied with al-Assad in Syria. This Syria plan is a mess and has way too many moving parts. Washington cannot directly attack the al-Assad government without angering Iran and risking losing its contributions to the defeat of ISIL. Therefore it has to concentrate on bombing ISIL and al-Qaeda. But so far that bombing has not allowed the Free Syrian Army to take any new territory away from the radicals. On the contrary, the Jabhat al-Nusra just took substantial territory away from groups coded by the US as ‘moderate’ in Idlib province. Al-Qaeda power is still growing in Syria. 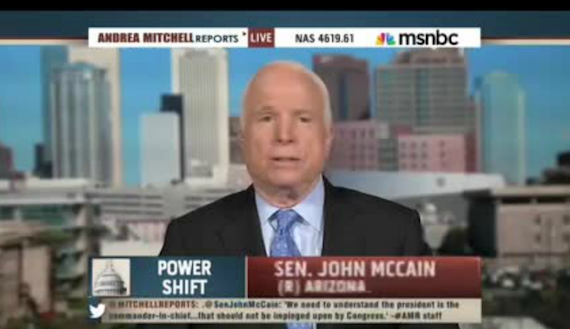 In the MSNBC clip below, Sen. John McCain (R-AZ) goes off on Obama mainly with regard to the Syria campaign. McCain is aware that a US rapprochement with Iran would weaken ISIL, but he is still convinced that the US should pull an Afghanistan_1980s and give arms and training to the Free Syrian Army. McCain clearly fears that an improvement in US-Iran relations could have as a side effect the retention in Syria of power by the Baath government of al-Assad. But McCain is ignoring how weak the Iraqi government is at the moment. Without Iranian support, it is not clear that the Shiite government could survive. All the Sunnis in Iraq know that the al-Abadi government has friendly relations with Iran, and that Obama backs al-Abadi. So Obama’s letter changes nothing for them. Sunni tribes are perfectly capable of taking help from Iran– the sectarian divide is less important than money and a salary. So the US needs Iran in Iraq, but views Iran as an enemy in Syria. McCain’s reaction is mainly about Syria, not Iraq. But if you look closely at the latter country, you can see that ISIL probably cannot be defeated without Iranian help. McCain has never appeared to meditate the mistakes he made in arming Muslim radicals to fight the Soviets in Afghanistan, which led in some ways to the rise of al-Qaeda. Great powers always have to make friends among states that are enemies of one another. The US has to have good relations with Greece and Turkey, and with Pakistan and India. Obama needs Iran in Iraq. It may be unpalatable, but the US needs Iran. Moreover, the US cannot defeat ISIL in Syria if it concentrates on bombing the al-Assad government, as McCain wants. McCain, who doesn’t usually show evidence of being capable of a nuanced or subtle foreign policy, doesn’t appreciate this need. Obama’s last chance at a major foreign policy breakthrough is a treaty with Iran that forestalls a militarization of Iran’s civilian nuclear enrichment program. Obama brought up cooperation in Iraq in the context of those negotiations. McCain’s policies in Afghanistan, of arming Muslim radicals and trying to destroy the Left there, left it a basket case decades later. McCain’s policies, if implemented, would end with al-Qaeda in charge of Damascus. 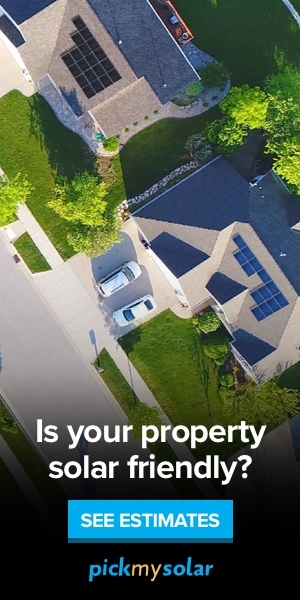 That can’t possibly be a good thing.